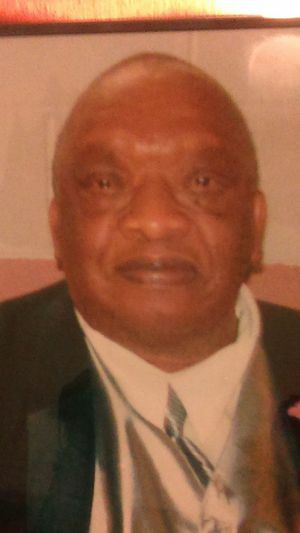 Raymond L. Kelso, 71, formerly of Moline, passed away on Friday, June 19, 2015, in Gibsonville, N.C.
Memorial services are 10 a.m. Saturday, June 27, at Tabernacle Baptist Church, Moline. Raymond was born on Aug. 23, 1943, in Moline, to Ella Louise Johns and Virgil M. Kelso. He married Jacqueline Shoots. They had two children, Camille and Casey. He then married Emily Owens. Raymond attended Moline High School, graduating in 1962. He attended Compton College, Compton, Calif. He was employed at Roadway and American Freight Company. Raymond was an avid sports fan. Survivors include his wife, Emily Kelso, Gibsonville; daughters, Camille Kelso, Rock Island, Casey (Brett) Halsey, Birmingham, Ala.; stepchildren, Celeste Owens, Gibsonville, Latarsha Johnson, Florida; siblings, Virginia Marcella Kelso, Moline, Helen (Theodore) Kelso Tirrell, Peoria, Ill.; five grandchildren; one great-grandchild; and a host of nieces and nephews. Preceeding him in death were his mother; father; brother, Clifford Kelso; sister, Donna Wells; niece, Almedia Kelso; and nephew, Alec McKinley. Condolences can be made to the family. So sorry for his loss. God bless and may he rest in peace. I was lucky enough to be on the track team with Ray. We ran sprints, on the same relay, shared a room at the State Track Meet and just laughed and had fun. I never got to say goodbye to Ray as everyone parted ways after High School. Maybe we all need to touch our friends in High School while we still can…. Big Admirer of Ray. Very good person, kind, and a terrific, competitive, tough athletic heart. Goodbye to a good man. Ray Kelso was a great guy. I remember how he and I would joke with each other in Mr. Stevens U.S. history class. And I agree with other comments that he was a great athlete. Tremendously strong runner on the football field where I knew him. He ran track on a very good relay team, too. I enjoyed Ray in high school. He was mature beyond what I was. Insightful. I've thought of Ray often over the years. Ray was one of the really good guys - very humble and a good soul. We were good friends and fellow hurdlers, always joking and bantering back and forth. I won't say the names we used to call each other, in total friendship.Over the years I have thought of Ray often and hoped he was doing well. I wish we could have reconnected at some point.He may be gone, but not from my memories. Much too young to be gone. So sorry to hear about Ray's passing. He was always such a nice guy. My thoughts are with his family and friends. Ray was one of the good guys. everyone enjoyed being around Ray, He will be missed I'm sure by family and friends. Ray was Ken Funk's favorite half back to run our Sally Ran Right or Left during a time of crisis in a close football game. Ray was low to the ground and fast which was perfect for the play. I don't remember the play not being successful when he ran it. Considering he didn't start, he still had the best average per carry for the team. He was tough and always ready to go. Ray was also one of nicest guys I've known, and with him, as with so many classmates, it is too bad that we were not able to stay in touch. My sincere condolences to his family and friends. When you were in the line and Raymond was running the ball to your side, you knew that you had better do your job and get the block or Raymond would just run you over. He was tough on the field, but you couldn't ask for a nicer guy off the field. Glad to have been in the huddle with him.